A handy superhero power to have when you need it. 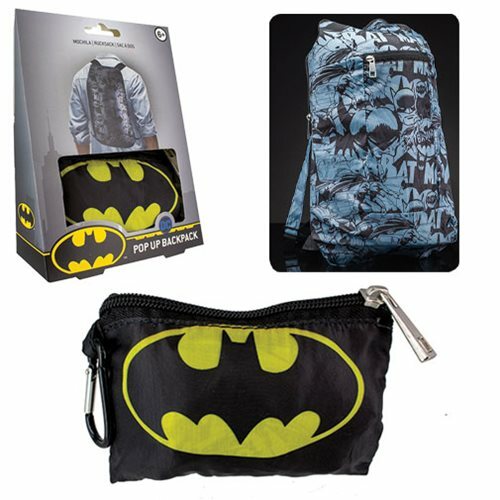 This Batman Pop Up Backpack can be folded away into a self contained Batman logo pouch when not in use, but is full size when opened up. 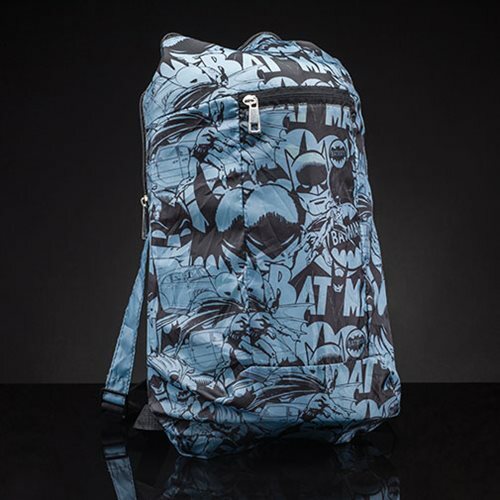 Featuring an iconic Batman design, including classic comic strip images and logos. This Batman Pop Up Backpack is a perfect Batman style hidden utility to pull out when needed most. 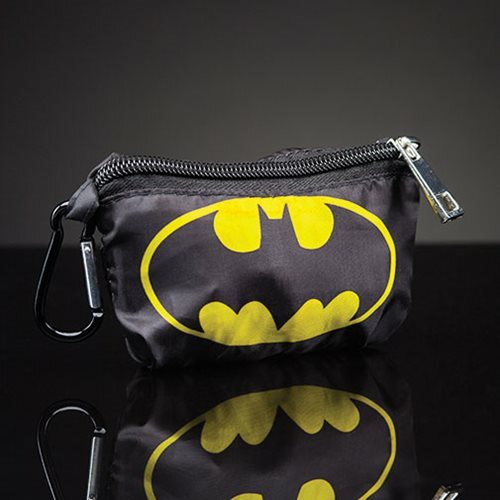 A great gift for fans of DC Comics' Dark Knight.